Caution - Slippery When Wet! Where I come from stepping around these signs is customary a good share of the year. While they can at times be quite a nuisance business owners would never take them down, they simply can’t afford lawsuits from their customers. These concerns aren’t isolated to customers, employees miss more time for injuries from ‘slips, trips and falls’ than any other workplace accident. Whether caused by the elements tracked in on shoes and boots or sweating concrete floors, injuries from related accidents lead to lost time, increased compensation and lawsuits. No wonder workplace accidents are a manager’s worst nightmare. But what’s the solution? I’m glad you asked… it's prevention. Yep, Prevention is the Best Medicine. Seems pretty simple right – just don’t let the floors get wet in the first place. Ok, that might be a tad unrealistic (especially in some applications). So what’s the next logical step? Don’t let the floors stay wet! This is where a knowledgeable and experienced air movement professional steps in. Air circulation across a wet floor can dramatically reduce the time it takes to dry naturally. Most people use this same concept daily without even realizing it. Drying laundry on a clothesline, automated car washes and the common household hairdryer all use air movement to dry. The majority of our customers purchase our solutions to de-stratify heat or generate comfort cooling. But the subtle, lesser known benefits of Altra-Air HVLS fans do a lot of very import things – drying floors is near the top of that list. Forcing dryer/warmer air across a wet surface is the fastest way to dry a floor. Combined with continual air movement, one can minimize the buildup of moisture creating a more safe and comfortable environment. Let’s use the example of an automotive service bay. Dealerships bring cars into their bays, service, wash and return them to their owners. Seems pretty simple and straight forward… until your fixing cars with damp tools and wet feet. With the simple installation of an Altra-Air HVLS Fan, the non-disruptive air circulation creates a mass comfort zone while helping dry wet surfaces. 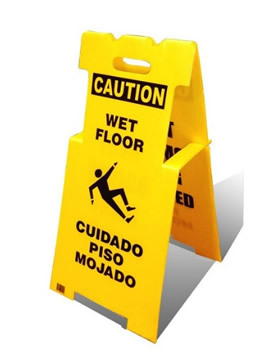 Employees, customers and visitors are now more productive and safer from ‘slips, trips and falls’. "With the simple installation of an Altra-Air HVLS Fan, the non-disruptive air circulation creates a mass comfort zone while helping dry wet surfaces." Oh and the best part? – Our 24’ Altra-Air HVLS Fan consumes less energy than that household hairdryer we mentioned earlier. Yes you read that correctly. At full speed (57 RPM) it is only consuming 1400W. 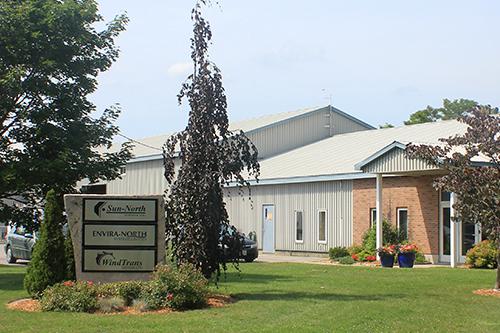 To learn more about the drying floors with Altra-Air HVLS Fans contact me directly via email deanwood@enviranorth.com.